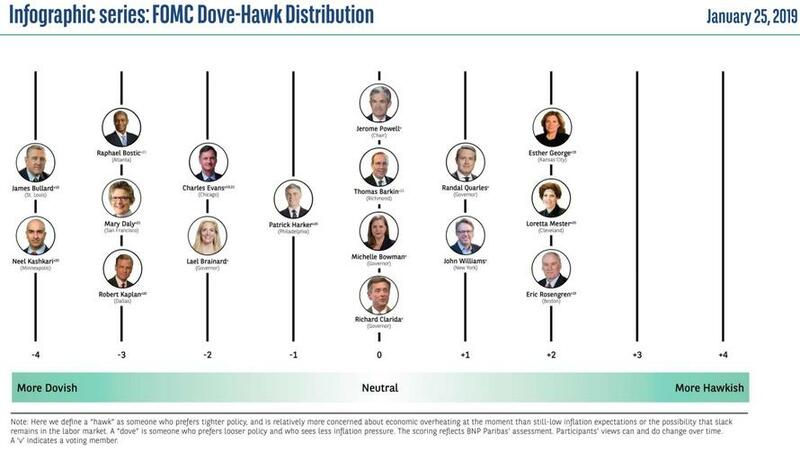 Some time over the past year, Fed governor Lael Brainard shifted from one of the biggest hawks (and Clinton donors) on the FOMC, to a dove, one which according to the latest BNP hawk-dove scale is on par with Chicago Fed's Charlie Evans. However, as of this morning, every such FOMC distribution scale may have no choice but to put Brainard left of both Fed uberdoves, Kashkari and Bullard, after she became the first Fed member to signal she favors ending the process of Fed balance sheet unwind some time in 2019, roughly a year sooner than the buyside and dealer consensus expects the Fed to taper its QT. “In my view, that balance-sheet normalization process probably should come to an end later this year,” Brainard said in a CNBC on Tuesday. 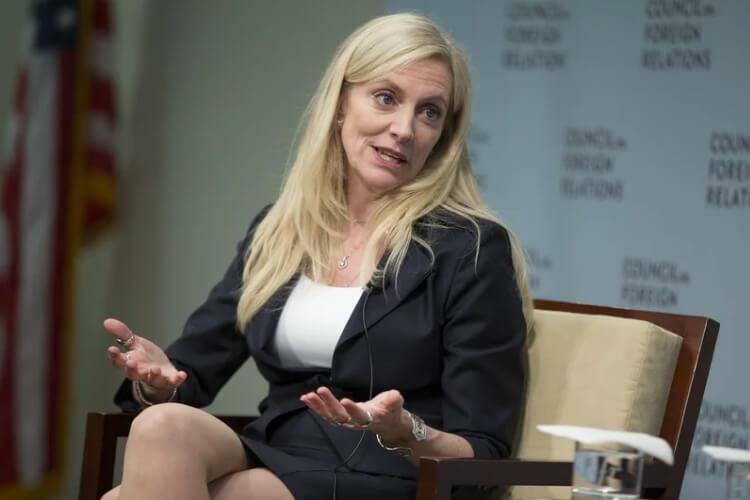 While being the first to provide "calendar guidance", Brainard did not present a level for where she believed the overall balance sheet, or bank reserves, should settle. As a reminder, they are currently at roughly $1.5 trillion and expected to shrink to $1 trillion be early/mid 2020. As CNBC's Steve Liesman observed, Brainard’s comment "is potentially big news. Brainard said she’d wants the wind down to end later this year. The Cnbc fed survey market avg is Q1 2021. So that’s more than a year earlier, perhaps implying a bigger balance sheet." Fed Gov Brainard’s comment exclusively to @CNBC about the balance sheet is potentially big news. Brainard said she’d wants the wind down to end later this year. The Cnbc fed survey market avg is Q1 2021. So that’s more than a year earlier, perhaps implying a bigger balance sheet. The Fed is currently reducing its bloated balance sheet by a maximum of $50 billion a month, although the actual average monthly number is around $36 billion. After saying the Fed's balance sheet unwind is on "autopilot" in December, Powell reversed and said he will re-evaluate the Fed's strategy on quantitative tightening. The FOMC also said it will continue managing short-term interest rates through a system that requires abundant bank reserves, which as Bloomberg notes will force them to halt balance sheet shrinkage before reserves become scarce. The $64 trillion question, of course, is what level of reserves will be considered scarce by the market. Conveniently, the market has an easy signalling mechanism when overall liquidity becomes too low: it crashes.